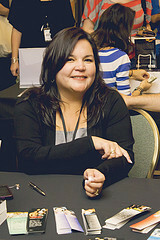 Today I am excited to welcome author Elizabeth Reyes to The Cover Contessa! About me? Well, I was born and raised and continue to live in sunny southern California. I'm married and have two wonderful teens. My love for writing began when I was just a kid though, I never really had any dreams or aspirations of doing it for a living. Then along came the age of eReaders and I saw an opportunity to get my writing out for the world to read without jumping through hoops and getting past the red tape of trying to get traditionally published. The Moreno Brothers series has literally changed my life. I now wake up to go to work a few yards from my bed. 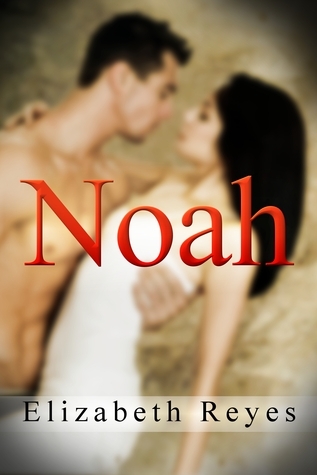 5th Street is my second series with 2 out Noah and Gio and two more to come. I'm currently taking a break from 5th Street to work on my next series Fate a spinoff of The Moreno Brothers series. 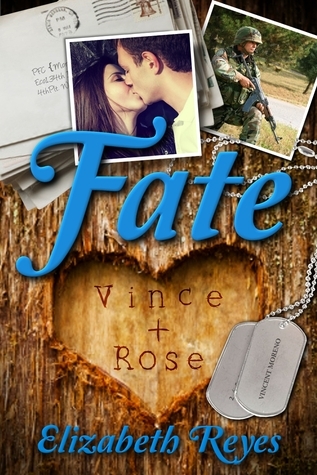 The first one in that series Fate (Vince and Rose's story from Making You Mine) is due out this year. I love hearing from my readers and try to always try to respond as soon as I can, but if there is a certain question being asked over and over instead of answering it 20 times I will post on my FAQ page so check there often! End of this year will be crazy for me between keeping up with the response to MYM and getting ready for my blog tour I'll be super busy so please bear with me if I'm not quick on responding to your messages/comments! And have you had a look at her spectacular books? So, you want to know what Elizabeth had to say? Read on! It varies really. It depends on how fast the story comes to me and how much time I have to write it down. Sometimes I have more than one story in my head and I write simultaneously. 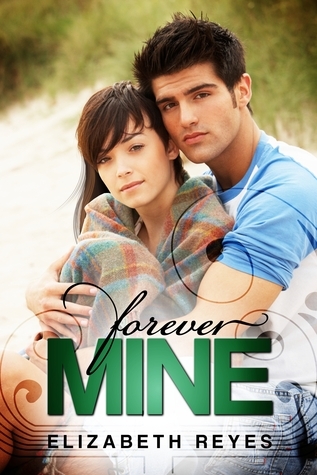 My first Forever Mine was a book years in the making my second Always Been Mine took me about 8 months all the rest have taken approximately 3-4 months give or take a few weeks. The plot, characters and the twists. You have to have realistic and likable characters even if they are flawed. Everyone is flawed in a different ways and in my opinion any time I read about a character that is too perfect it takes from the story because it doesn’t feel real. The has to be unique and interesting and the twists have to be realistic as well—things that happen in real life that you just weren’t expecting. My twists are almost always unexpected even to me. Many times it’s like my fingers have a mind of their own. I’ll be typing and then sit up suddenly saying “What the hell!” As my fingers continue typing away! Normally when my kids are in school I write in the day while it’s quiet at home then do the social media thing in the afternoon once they’re home but right now in the summer it’s been crazy so honestly I have no schedule. I write when I can squeeze it in, in between trips and bbq’s and having company over. I have a travel office now so I that I can squeeze in some writing in hotel rooms. Like when any other job normally I do most my work in the day and call it a day around 6 or 7 in the eve. But lately like I mentioned with it being summer and all the trips we’ve lined up, not to mention unexpected illnesses in the family it’s been crazy I’m squeezing in writing time when I can. From everywhere and everything. Things that happen in real life to friends or friends of friends. My kids and their friends, Movie and television characters. It’s endless and the story ideas are constantly coming to me. In my sleep, in the shower, while I read or watch TV. They are based on a lot of traits from people I know. I’ll take different quirks and personality flaws from different people I’ve met or are a part of my life and mesh them together until I have just what I want. Yes my cave. In my bedroom. It’s where I do most of my writing unless I’m on the road. But even though I have a laptop I never write in any other room but my little loft in my room. I wouldn’t know about traditionally published because believe it or not I’ve never even tried. I’ve heard horror stories about people trying for years to get published and dealing with rejection after rejection. Self publishing works for me. The technicality of doing it is not hard at all. Getting your book(s)noticed is the hard part really. Not all are readers so not all of them have read my books but the ones that have like them. Even the ones that haven’t are very proud and impressed and for the most part very supportive. Reading =) Being a soccer mom and spending time with my immediate and extended family. Do you have any suggestions to help aspiring writers better themselves and their craft? If so, what are they? Write a lot but read even more. You learn as much from the good as you do from the bad books you read because you discover what seems to work and what doesn’t. Understanding why is a bit harder so I’d strongly suggest you join a writer’s or critique group. There are many online the one I was part of and helped me improve my writing immensely is Critique Circle and it’s free. This question is a tough one for me because there are so many. All good writers inspire me. Anytime I finish reading and exceptionally written book I’m inspired. Even though I’ve written mainly contemporary romance I read in all genres but probably one that has inspired me writing alphas males because she writes such great ones is Lori Foster. Get your work well polished. Do your homework there are literally thousands of resources online now whether you decide to go traditionally published or self published. But most importantly if you truly believe in your talent—you really want to pursue your dream of writing is never EVER give up. As I mentioned before there are times when I have several stories coming at me at once so even though I’m trying to focus on getting Fate (Vince & Rose’s story) written, Abel and Hector’s the next two in my 5th Street series stories keep coming to me so I’m actually working on all three at once. Thanks so much for stopping by today, Elizabeth! It was so great having you here!